In the spring 2017 semester, Westminster College transnational studies students experienced a one-of-a-kind course in which students prepared and interacted in real time with faculty and students from the Moscow State Institute for International Relations (MGIMO). The course, taught by Dr. Kurt Jefferson, assistant dean for global initiatives and director of the Churchill Institute for Global Engagement, is the first to allow students to create a course around their interactions with global studies students on another continent. “Thanks to a former stellar student, Mikhail Orlov, we were able to give our students an incredible opportunity to engage in the sensitivities of real time diplomacy and cultural exchange,” Jefferson said. Mikhail Orlov ’96 connected Dr. Kurt Jefferson to Dr. Sergey Vereykin of MGIMO and helped to facilitate the creation of the cross-continent interaction. 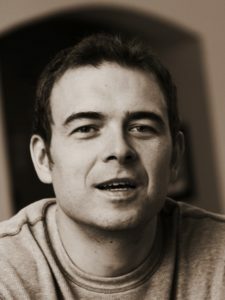 Orlov ’96 (ΒΘΠ), who grew up in Moscow, connected Jefferson to his boyhood friend Dr. Sergey Vereykin, a professor of media business and management at MGIMO. The two worked closely to make the course a reality. Orlov is now a successful entrepreneur in Arlington, Texas, and his company, Webyshops, has been recognized as one of the top 5,000 fastest-growing private businesses in the United States by Inc. magazine. After studying political science at Westminster, Orlov went into finance and global business and earned an MBA from Southern Methodist University in Dallas. MGIMO was founded in 1944 by Soviet premier Joseph Stalin to train diplomats and broaden the study of international relations in the Soviet Union. 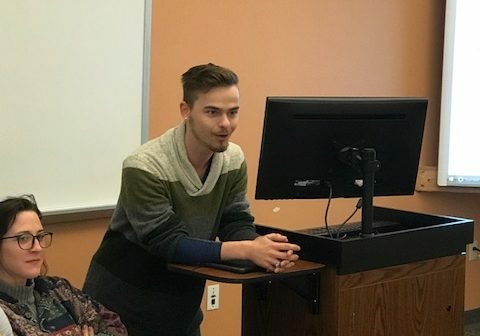 Westminster College junior and global leadership and social entrepreneurship major Nikita Thompson, a Russian-born adoptee from St. John Vianney High School in St. Louis, took part in the simulation with Russian students and faculty. Jefferson said the class plans to continue in fall 2017 and eventually see Westminster students traveling to Moscow to visit their colleagues at MGIMO. He also stated that he is working with Orlov to visit campus and lecture students on both continents via Westminster’s technology. Westminster College is one of the only institutions in the United States and Canada with a transnational studies program. Harvard University has one as well. The major program is housed in the Churchill Institute for Global Engagement, which is the home of domestic and international award-winning academic programs, as well study abroad and Model United Nations programs. The Institute also houses the student-run and edited Westminster Journal of Global Progress. See the Inc. magazine story about Orlov here.